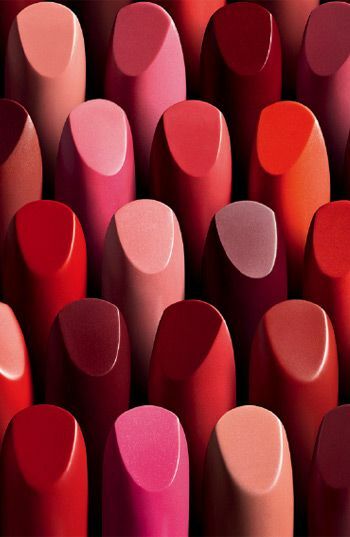 Today is National Lipstick Day-who knew?! I came across this little tidbit of information while sourcing for another item and felt dutiful to share. Whatever your penchant to pop up your pucker goodness knows the color options are endless. Make your color last longer by: applying, blotting with a tissue, dusting with any type of loose powder, and then applying another coat of color. Fight lipstick on the teeth by: putting your pointer finger in your mouth, puckering, and pulling it out. Any rogue lipstick will land on your finger, not your chompers. 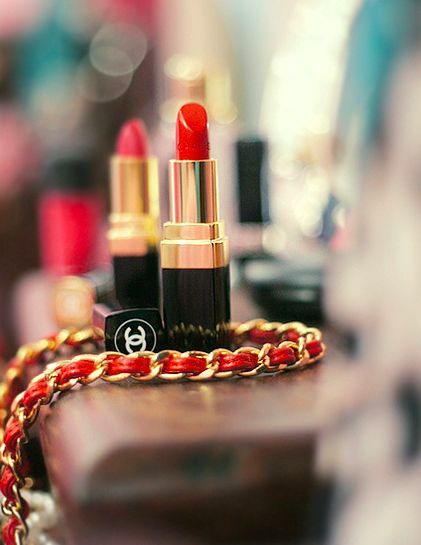 Get a rich color to go on like a stain by: using your finger or lip brush to apply rather than pulling the lipstick itself over your lips. Make a glossy color matte by: finishing it off with by tapping a similar color powder blush over the lips with your finger. Avoid color creeping outside of your lips by: lining with a clear lip pencil before lipstick. Do a DIY stain by using: Kool-Aid. This genius move involves wetting your finger, patting powder mix onto your lips, and smoothing it out with a moist cotton swab. Fake full lips by: coating your favorite lipstick with shimmery white or pale pink powder or eyeshadow. Re-form a bullet that’s gotten wonky by: heating it for a few seconds with your hair dryer and using your fingers to fix the shape. To really seal the deal, place it in your freezer.